!! 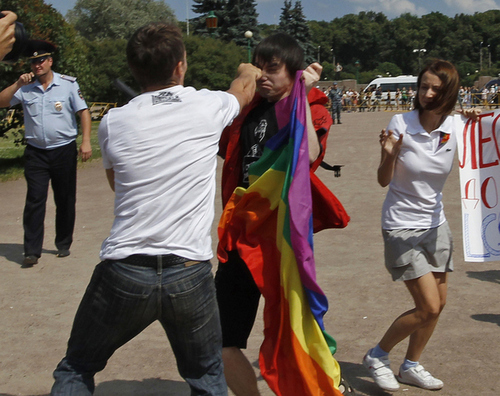 OMG, how deplorable: Russian authorities continue to turn blind eye towards violent attacks on LGBT Russians !! I know, it’s not the nicest thing to wake up to with your cornflakes and coffee, but it’s important that people see this video! ?Human Rights Watch has just released a graphic and shocking new video highlighting many of the various violent attacks on the LGBT community in Russia. Be the first to comment on "OMG, how deplorable: Russian authorities continue to turn blind eye towards violent attacks on LGBT Russians"